Tourists crowd the Dadonghai seashore in Sanya, south China’s Hainan Province, February 4, 2011. Children play on a beach in Sanya, south China’s Hainan Province, February 4, 2011. Tourists are seen on a beach in Bo’ao, south China’s Hainan Province, February 4, 2011. 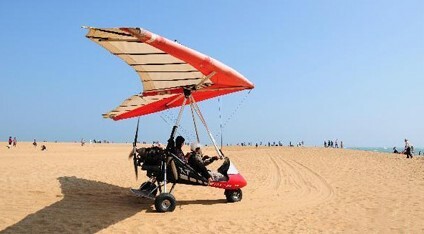 Tourists enjoy parawing flights on a beach in Bo’ao, south China’s Hainan Province, February 4, 2011. 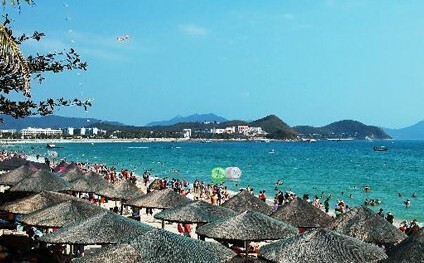 Sanya will see record visitors during the week-long Spring Festival holiday due to its sandy beaches, warm weather and attractive activities. 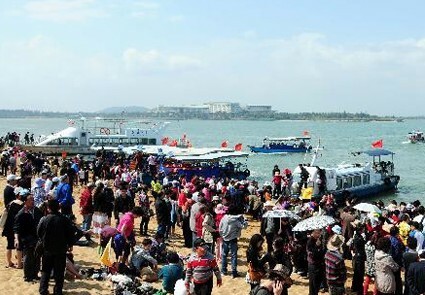 In the first day of the ‘Golden Week’ holiday, more than 36,000 visitors traveled to Sanya, according to Hainan’s provincial tourism administration. On Feb 4th, the 3rd Hainan International Tourism Real Estate Cultural Festival was held in Sanya which attracted a total of 40,000 citizens and tourists. The pleasant climate enables visitors to enjoy the outdoor fun with the lovely animals and eye-pleasing rainforest landscape in Sanya. Dubbed as “China’s Hawaii”, Sanya topped the list of China’s top ten hottest tourist destinations during Chinese New Year holiday this year, according to Ctrip.com, China’s leading travel service provider.